*All plans are intended for a single user and within Israel. They also have a $39 deposit and an activation fee of $18. **Prices are in US Dollars. All rates not including VAT (currently 17%). ***First month of international SMS free when chosen and until the sale lasts. After the first month ends the plan will automatically be $9.97 a month unless TalknSave is notified otherwise by the client. Unlimited Calling: includes calls to landlines and mobiles in Israel, the USA and Canada. Click for more information. 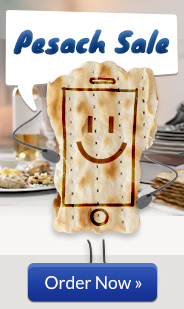 Unlimited Texting: includes text messaging to any mobile number in Israel. International texts are 14.9¢ per message after free texts have been completed. Unlimited data: includes high-speed 4G service + unlimited 2G speed after 4G allowance. There are no data overage fees. TalknSave reserves the right to cease your data service. Please check your phone compatibility at http://talknsave.net/unlock-phone. Discover for yourself why more programs in Israel still say - TalknSave is our first choice!